In this blog post, we'll take a look at a few ways that I've discovered in order to bypass kptr_restrict on Android, allowing for easier exploitation of vulnerabilities that require some information on the virtual addresses in which the kernel is loaded. But first, for those of you who aren't familiar with the "protection" offered by kptr_restrict, let's get you up to speed on the subject. As we've seen in the previous blog post, sometimes exploits require knowledge of internal kernel pointers - either in order to hijack them, or in order to corrupt them in a controllable manner. This fact has been known for quite some time - enough time, in fact, for it to be addressed directly. The Linux kernel contains a feature which enables it to filter out such addresses in order to avoid leaking them to a potential attacker. This configurable feature is called "kptr_restrict", and has been present in the Android kernel source tree for at least two years. Essentially, only root can modify its value, but any user can read it. So how does kptr_restrict work? Well, first of all, kernel developers needed a way to mark kernel pointers as such, whenever those are outputted. This is achieved by using a new format specifier, "%pK", which is used to denote that the value written into that specifier contains a kernel pointer, and as such, should be protected. 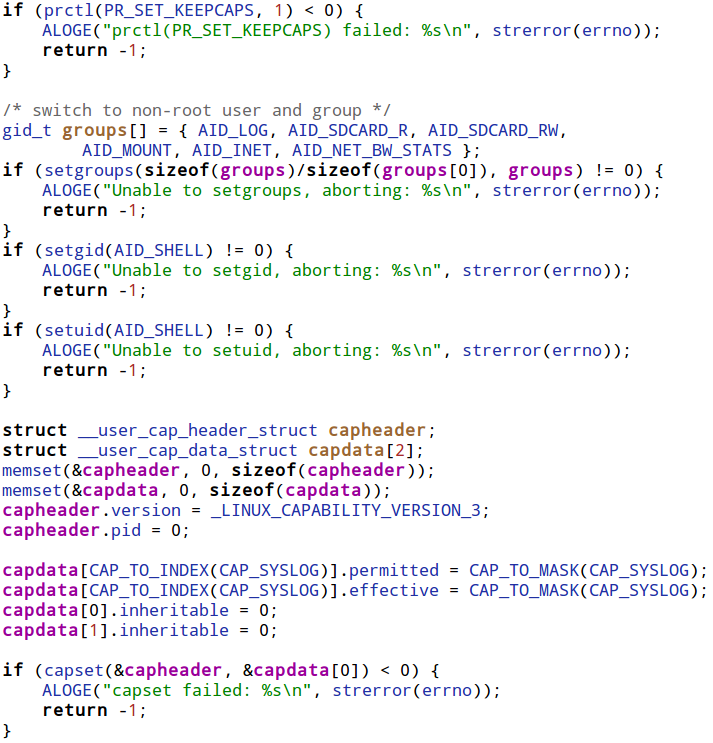 1 - Kernel pointers which are printed using "%pK" are hidden (replaced with zeroes), unless the user has the CAP_SYSLOG capability, and has not changed their UID/GID (to prevent leaking pointers from files opened before dropping permissions). The default value of this configuration is chosen when building the kernel (via CONFIG_SECURITY_KPTR_RESTRICT), but for all modern Android devices that I've ever encountered, this value is always set to "2". Merely 35 times (in 23 files) within the entire kernel source code. Needless to say, kernel pointers are very often printed using the "normal" pointer format specifier, "%p" - a simple search shows many hundreds of such uses. So now that we've set the stage, let's see why the protection offered by kptr_restrict is insufficient on it's own. However, the syslog system call can't be accessed by just any user - specifically, the caller must either posses the extremely powerful CAP_SYS_ADMIN capability, or the weaker (and more specific) capability of CAP_SYSLOG. Recall that within Android, the "init" process maintains a list of "services" which can be started or stopped as needed. These services are loaded by "init" upon boot, from a hard-coded list of configuration files, which are almost always stored on the root (read-only) partition, and are therefore read-only. The configuration files are actually written using a language specific to Android, called the "Android Init Language". This language is pretty simple and easy to use, and allows full control over the permissions with which services are launched (UID/GID) as well as their parameters and "type" (for more information about the language itself, check out the link above). Another feature of Android are "system properties" - these are key-value pairs which are maintained by the "property service", which is also a thread within the init process. This service allows basic access-control on various "sensitive" system properties, which prevents users from freely modifying any property they please. However, some properties get special treatment, namely - the "ctl.start" and "ctl.stop" system properties, which are used to either start or stop system services (defined, as mentioned before, using the "Android Init Language"). These properties are checked strictly using SELinux labels, in order to make sure that the privilege of modifying the status of system services is reserved strictly to certain users. 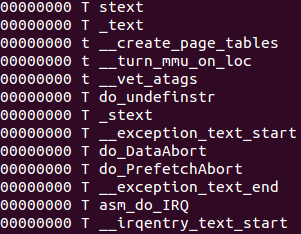 But here comes the surprising part - when connecting locally to the device using "adb" (Android Debug Bridge), we gain execution as the "shell" user. This user is always permitted start and stop one particular service - "dumpstate". Actually, this is used by a feature offered by the "adb" command-line utility, which enables developers to create bug reports containing full information from the device. In short, the service sets the user and group IDs to those of the shell user, but makes sure that it keeps the CAP_SYSLOG capability explicitly. Reading on reveals that "dumpstate" actually reads the kernel log using the syslog system call (which it is capable of executing since it has the CAP_SYSLOG capability), and writes the contents read back to the caller. Essentially, this means that within the context of the "adb shell", we can freely read the kernel log simply by executing the "bugreport" program. Nice. However, this still doesn't solve the problem of getting needed symbols for exploits - since, as mentioned earlier, these symbols should generally be printed using the "%pK" format specifier, which means they would appear "censored" in the kernel log. But alas, most pointers within the kernel are certainly not printed using the special format specifier, but instead use the regular "%p" format, and are therefore left uncensored. This means that the kernel log is typically a treasure trove of useful kernel pointers. Now, assuming there's a single symbol we would like to find, we could simply dump the list of all kernel symbols using the virtual file containing all the symbols - /proc/kallsyms. When kptr_restrict is enabled, the list returned by kallsyms is censored (since it is printed using "%pK"), and therefore won't show any kernel pointers. We can then use this list to deduce the location of different symbols by simply counting the number of symbols from the start or end marker to our wanted symbol, while adding up the sizes of each of the symbols encountered. In many cases, although the device itself is accessible, it may be heavily locked - for example, in extreme cases, adb access may be disabled (however poorly), which would complicate the usage of the first method (unless we manage to gain shell access). In this case, we may wish to build the complete list of kernel symbols from the kernel image itself, statically, without interacting directly with the device. Also, since KASLR (Kernel Address Space Layout Randomization) is currently still unused in Android devices, there is no need to consider any kind of runtime modification to the location of the symbols present in the kernel image. This means that the kernel image must contain all the information needed to build the complete list of symbols, including their addresses, exactly as they would appear on a real "live" device. How do I get a kernel image? Assuming you have the full access to a live device, you could read the kernel image directly from the MMC, via /dev/block. However, in most cases reading the MMC blocks directly requires root permissions, which would make this method pretty obsolete, since with root access we could already disable kptr_restrict. The more reasonable path to obtaining the kernel image would be to simply download the firmware file for your particular device, and unpack it. There are many tools which enable firmware unpacking for different devices (for example, I wrote a script to unpack to Nexus 5's bootloader - here), but many such tools are available, and are typically a google-search away. I have the image - now what? In order to understand how to extract the full symbol list from a kernel image, we must first inspect the way in which a kernel image is built. Looking over the code, reveals that a special program is used to emit the symbols needed in a special format into the kernel's image, as part of the build process. The program which receives the symbol map containing the location of each kernel symbol in the kernel's virtual address space, and outputs an assembly file containing the compressed symbol table, which is assembled into the resulting kernel image. 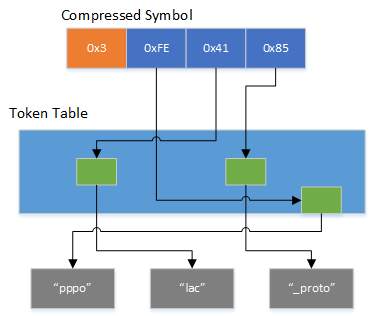 This means that all we need to do in order to rebuild this table from a raw kernel binary is to understand the exact format in which this symbol table is written. However, for a normally compiled kernel with no additional symbols, this turns out to be a little tricky. Since the labels written by the script are not visible in the resulting kernel binary, the first thing we'd have to solve is how to find the beginning of the symbol table within the binary. Luckily, the solution turns out to be pretty simple - remember when we previously had a look at the symbol table from kallsyms? The first two symbols were marker symbols pointing to the beginning of the kernel's text segment. Since the kernel's code is loaded at a known address (typically, 0xC0008000), we can search for this value appearing at least twice consecutively within the binary, and attempt to parse the symbol table's structure starting at that address. Going over the symbol table itself, reveals that it is terminated by a NULL address. Then, immediately following the symbol table, the actual number of symbols is written, which means we can easily verify that the table is actually well-formed. According to kernel developers, this usually produces a compression ratio of about 50%. I've written a python script which, given a raw kernel binary, extracts the full symbol table from the binary, in the exact same format as they are written within kallsyms. You can find it here. Please let me know if you find the script useful! Sadly, it appears that kernel developers are far less aware of the possible risks of leaking kernel pointers than they are of other (e.g., memory corruption) vulnerabilities. As a result, finding a kernel memory leak is usually a very short and simple task. To prove this point, after poking around for five minutes on a live device, I've come across such a leak, which is accessible from any context. 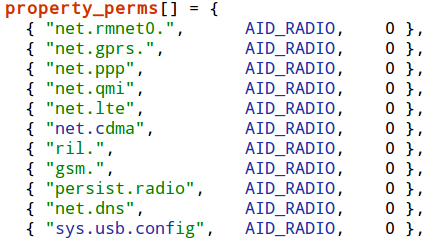 Whenever a socket is opened within Android, it is tagged using a netfilter driver called "qtaguid". This driver accounts for all the data sent or received by every socket (and tag), and allows some restrictions to be placed on sockets, based on the tag assigned to them. Android uses this feature in order to account for data usage by the device. The actual per-process breakdown is done by assigning each process a specific tag, and monitoring the data used by the process based on that tag. The driver also exposes a control interface, with which a user can query the current sockets and their tags, along with the user-ID and process-ID from which the socket has been opened. This control interface is facilitated by a world-accessible file, under /proc/net/xt_qtaguid/ctrl. For those interested - the actual pointer written is to the "sock" structure, which is the kernel structure containing the actual "socket" structure, which in turns contains all the function pointers to the operations within this socket. Open a socket and tag it with "qtaguid"
Great article! I was unaware that it protected ANY use of "%pK". I just thought it zero'd the output of /proc/kallsyms. I suppose an LKM invoking kallsyms_lookup_name() will get the real symbol address no matter the value of kptr_restrict? Yup - kallsyms_lookup_name() would succeed, and trying to remove that functionality could break some device drivers that use it. However, getting the symbol table is easy once you have the kernel image (using static_kallsyms), which you certainly do if you're running in the kernel. > We can then use this list to deduce the location of different symbols by simply counting the number of symbols from the start or end marker to our wanted symbol, while adding up the sizes of each of the symbols encountered. My understanding is that the only way to know the sizes of the symbols is to have a kernel image that this specific device is running. Sure, some of them may be found in call traces in the system log, but certainly not enough to fill the whole path from a nearest marker to the symbol of interest. Am I missing something? Tiap jalma bisa mibanda(học toán cho trẻ mẫu giáo) alesan béda pikeun(toán cho trẻ 5-6 tuổi) hirup kahirupan maranéhanana sorangan. (toán cho bé 5 tuổi) Anjeun teu bisa conflate kabeh alesan ieu sami.